Delhi is the capital of India and is the economic powerhouse of the country. 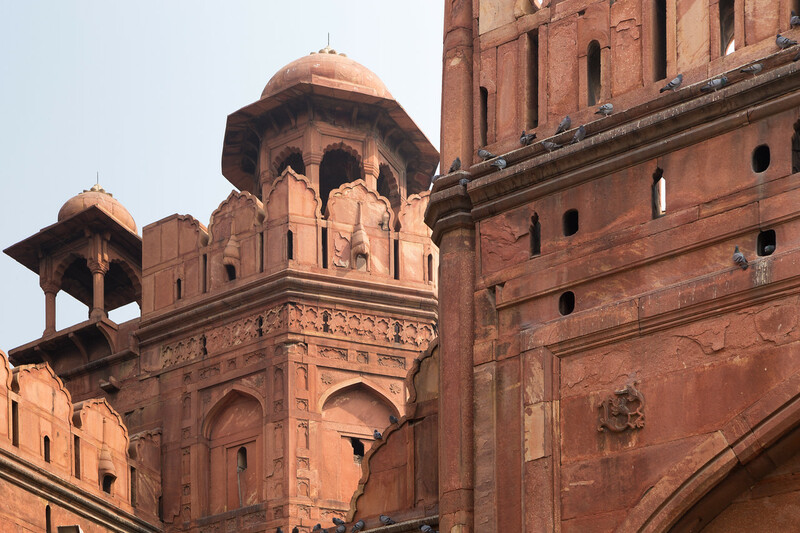 Delhi has been the capital of the powerful kingdoms of India since the 12th century making it one of the longest-served capital in the world. People from the northern part of India immigrates to Delhi for employment thus making it one of the crowded city of the world. Delhi is a must-visit city. It has historical monuments, temples of all religion, great markets for shopping, amazing restaurants serving many different cuisines, and vibrant culture. The cost of living in Delhi can be either cheap or expensive depending on you circumstances and what you seek. A person earning $700 USD/month can live his life comfortably whereas a person earning a $1500 USD/month can find it hard to save money. The accommodation is expensive in Delhi compared to other cities in India. Less area and more people has skyrocketed the real estate prices. The biggest expense of your monthly budget would be spent on accommodation. One month rent for a single bedroom apartment would cost you 7000 – 14000 INR depending upon the neighbourhood. If you are looking to stay in a hotel, you can get a basic guesthouse for 700 INR/day, a budget hotel for 1500 INR/day and a 3 to 5-star hotel in the range of 2500 – 7000 INR. Although not a recommendable mode of transportation, you can rent a car starting from 1500 INR/day. Fuel will cost you around 70 INR per litre. There are two major ride-hailing apps in Delhi, Ola and Uber. Both of them are very affordable and have gained high popularity over the last few years due to low prices. You are expected to pay around 20 INR per kilometre. 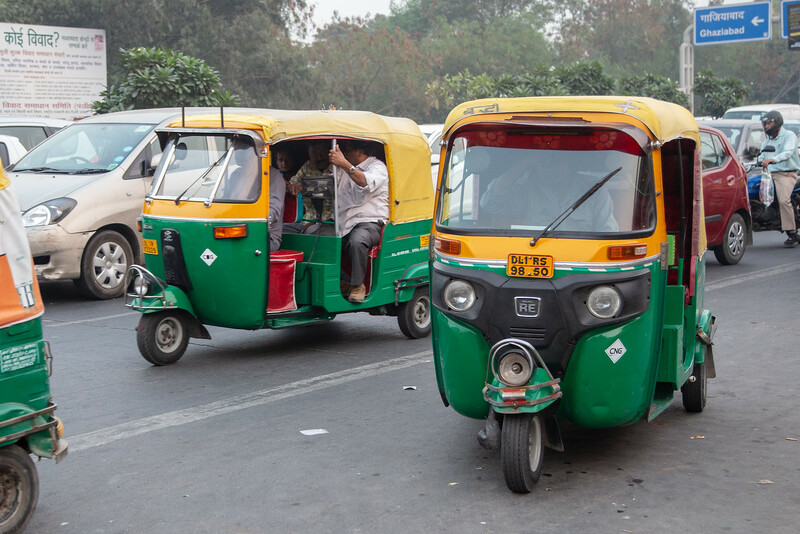 Auto-rickshaw or Tuk-Tuk is another point to point transportation option. It was the most popular option in Delhi till some years back before the arrival of ride-hailing apps. Expect to pay anywhere around 14 INR per kilometre. Note that they do not go by metre and would surely try to overcharge you. You have to haggle to set for a reasonable price. Ola and Uber have also started the option to book auto-rickshaws through them thus eliminating the headache of bargaining. The public transport is very robust and inexpensive in Delhi. It includes bus and metro. The bus network covers every part of Delhi. The maximum fare of a non-AC bus is 15 INR and AC bus is 25 INR. The metro is the most convenient and cheap option to commute in Delhi. Delhi metro is the 9th longest metro in the world covering 327 kilometres and expanding. The minimum fare is 10 INR and the maximum fare is 60 INR. There is another option in Delhi in the form of cycle rickshaw and e-rickshaw. They are pretty useful if the final destination is far away from the bus stop or metro station. The cycle rickshaw will cost you around 40 INR for a kilometre but will drop you at the exact location. The e-rickshaw is the electronic battery driven rickshaw which runs on a fixed route for a flat fare and shared among 4-5 people. It will cost you around 10 – 20 INR. The metro is the recommended option for long distance. It is clean, air-conditioned and not as much crowded as buses. 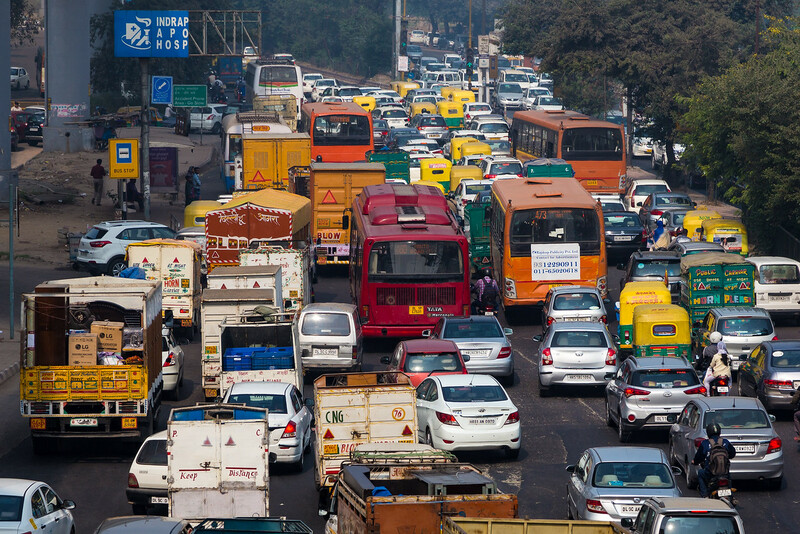 Delhi is a very crowded city and traffic jams are the common sights at any time of the day. Travelling in the metro would also help you avoid the chaos of traffic jams. Eating out is very affordable in Delhi. 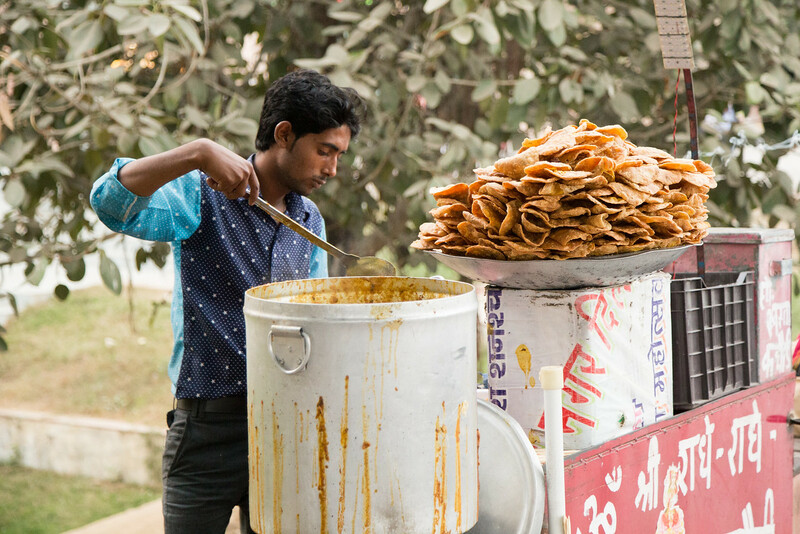 India has a diverse food culture where every other state has its traditional dish. Delhi being the metro and capital city has a huge variety of restaurants serving hundreds of different Indian cuisine. In the last 15-20 years, many restaurants have opened up serving international dishes mainly Chinese and Italian. International fast-food giants like McDonald’s, Burger King, Dominos, Pizza Hut and others can be easily found in Delhi. If you are short of money, you can eat in one of the dhabas (small restaurant mainly without AC or any other amenities). They generally serve only Indian dishes like bread and cooked vegetables. It will cost you around 100 – 150 INR. Delhi like the rest of the country doesn’t have dining out culture. Most of the people cook their own food and go out for a meal once or twice a month. We(family of 3) buy groceries from sabzi mandi (vegetable market) and pay around 3000 INR a month for fruits and vegetables. Other items like packaged food items, flour, rice etc. cost an extra 2000 INR. Vegetable markets are crowded most of the time. 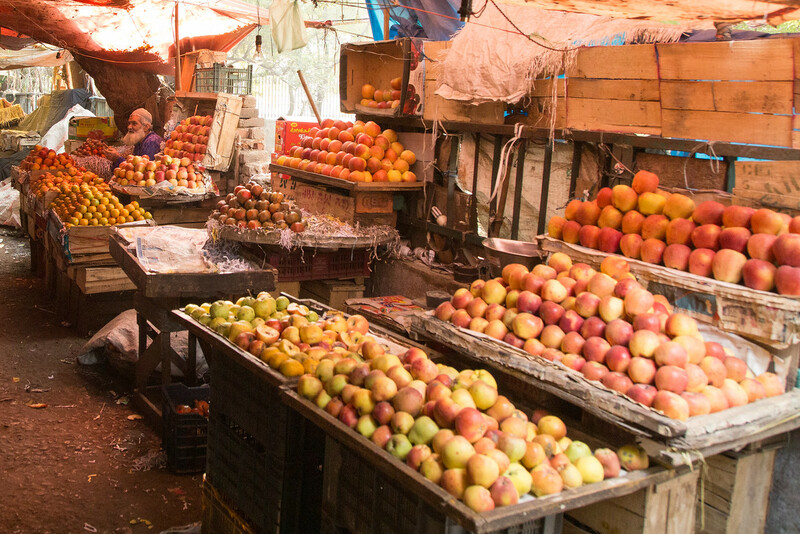 Many Delhiite also buy fruits and vegetables from the nearby grocery store or online grocery website or vegetable street vendor. But the prices are generally 30 – 35% higher than the vegetable market. We pay around 800 INR a month for water. The government of Delhi provides a free supply of water of up to 20 KL a month for each household. That means if you can limit your monthly water consumption within 20 KL, your monthly bill is nill. Tap water is not drinkable in Delhi or any part of India. You have to either buy mineral water container or use water purifier at home. Cost of electricity depends a lot upon the weather. We pay around 1300 INR in winters and 4000 INR in summers when air-conditioners run constantly. Mobile data and voice plans have become incredibly cheap after the entry of Reliance Jio in 2015. A prepaid plan of 450 INR gives 1.5 GB/day and unlimited voice call for 84 days. High-Speed wi-fi broadband plan starts from 600 INR and goes as high as 2000 INR. I pay 1000 INR for 60 GB monthly wi-fi data at 16 Mbps speed. Hiring maid is also very cheap in Delhi. You can get a maid for 4000 INR to do house cleaning, dishwashing, and laundry. As opposed to western countries where a lack of health insurance will break your bank, health-care is very affordable in Delhi. A doctor visitation even in a big hospital does not cost more than 1500 INR. Many mohalla-clinics (government owned dispensaries) are opened in Delhi which provides free doctor consultation. The cinema halls in Delhi plays both Hollywood and Bollywood (Hindi cinema) movies. Movie tickets in multiplex cost 250 – 400 INR. The theatres in Delhi usually run Hindi plays and costs 400 INR upwards. The English plays are also performed but those are very few in numbers. 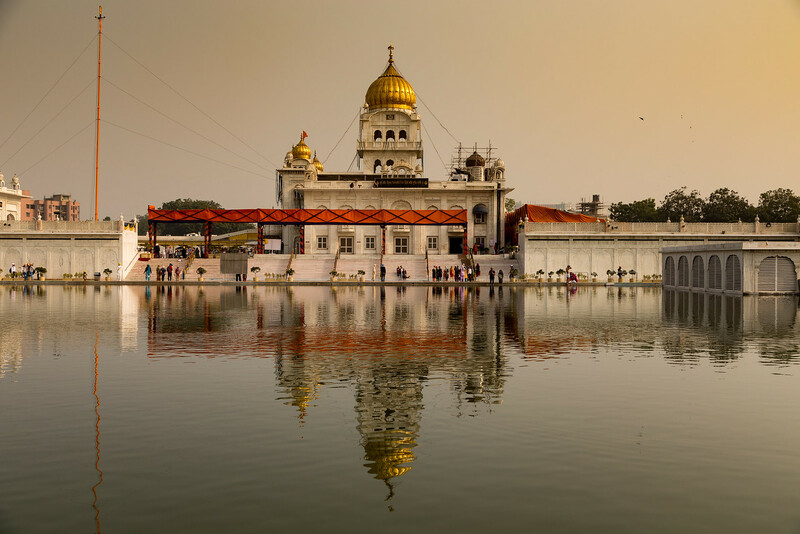 Delhi has lots of historical monuments and temples and is one of the most sought tourist destinations in India for travellers. Some of the famous attractions are Akshardham Temple, India Gate, Red Fort, Qutub Minar, Humayun Tomb, Jantar Mantar, Tughlaqabad Fort. The ticket costs 250 – 550 INR for foreign nationals. Delhi has some amazing budget-friendly shopping markets like Karol Bagh market, Khan market, Chandni Chowk market, Sarojini Nagar market. Here you can buy non-branded but top-notch quality clothes at less than half the price of branded clothes. Is it Worth Living in Delhi? Living in Delhi can be chaotic sometimes. It is crowded, roads are dirty, air quality is poor, and traffic jams are common but it is also very VIBRANT. 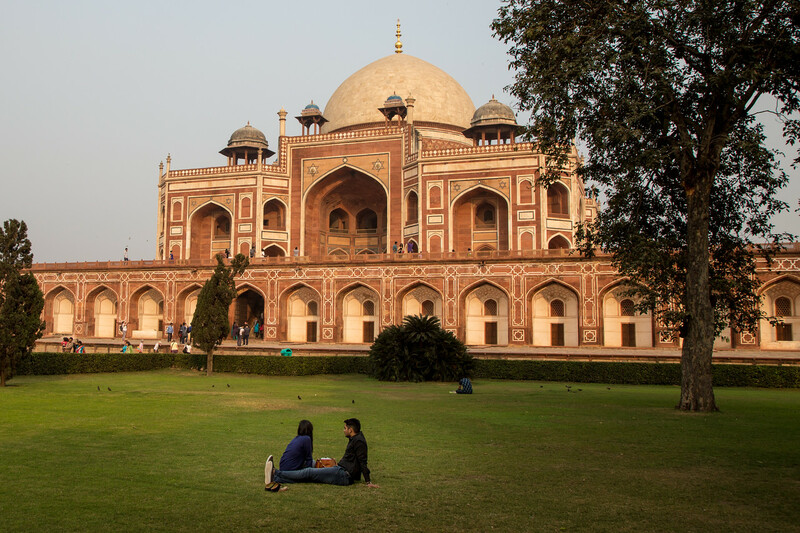 Give the city a few days and you will absolutely love its hospitality, culture, food, and Mughal era monuments. Delhi is the city of contrast. Here you have the poorest of poor and richest of rich; slums and bungalows; dirt-cheap roadside restaurants and expensive cafes; single-screen theatres and multiplex theatres; budget-friendly congested markets and swanky malls. And the best thing is that every person whether rich or poor living in Delhi is a proud Delhiite. Where else in the world you will find the city that is both traditional and modern? About Author: Nitin Singhal behind the blog ‘Dreams Taking Wings‘. He is a software developer and has lived in Delhi whole his life. On his blog, he shares travel guides, travel itineraries and travel stories to help people plan their vacation. He can also be found on Facebook, Instagram, and Pinterest.